Summer reading time is upon us! The percentage of American adults who read literature — any novels, short stories, poetry or plays — fell to at least a three-decade low in 2015 according to the National Endowment for the Arts. So, today, we will celebrate books, all kinds of books! 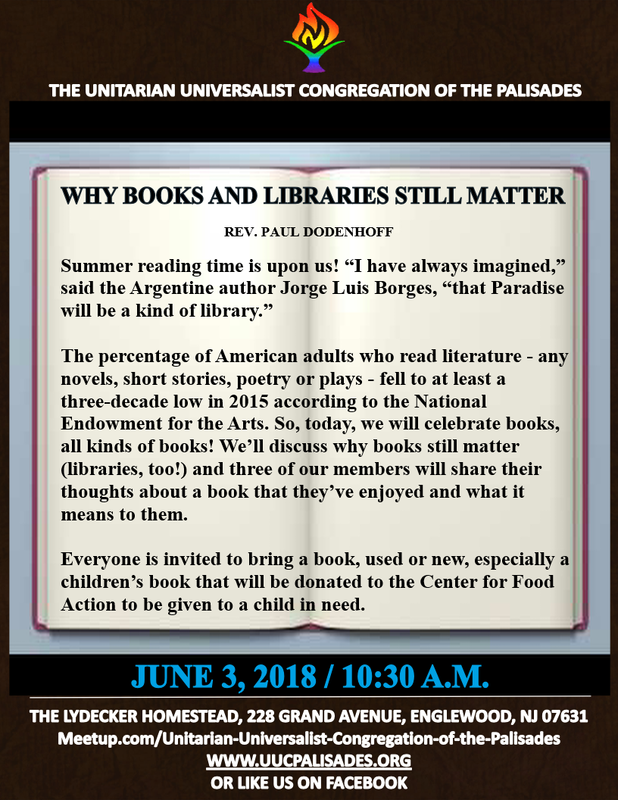 We’ll discuss why books still matter (libraries, too!) and three of our members will share their thoughts about a book that they’ve enjoyed and what it means to them. 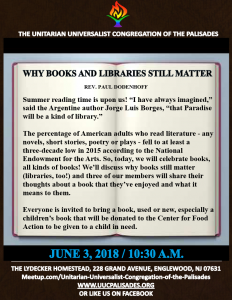 Everyone is invited to bring a book, used or new, especially a children’s book that will be donated to the Center for Food Action to be given to a child in need.